Pam Gay joined TradeMark Properties in 2016 as the Executive Vice President of Administration and Operations. Pam is responsible for administrative and company operations for TradeMark. With more than 30 years in the real estate industry, Pam’s expertise, operational efficiency, industry knowledge and corporate management capabilities are unmatched in this market. 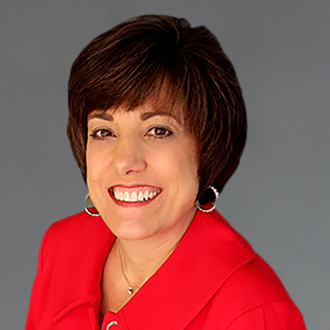 Prior to joining TradeMark Properties, Pam spent 33 years as the Vice President, Administration Director at Coldwell Banker Howard Perry and Walston. Pam’s role included HR Director, Facilities Manager and Risk Manager. As Facilities Manager, Pam over saw the successful negotiations of office leases, renovation and new construction project contracts, outdoor building signage contracts and managed all facilities and minimized company expenses. Pam has extensive experience in commercial lease negotiations, space planning and design. As Human Resources Director, Pam developed, implemented and directed all human resource strategies, objectives, initiatives and policies. She also implemented and optimized performance of employees and mediated employee conflicts. She also managed the cross-functional human resource operations, including compliance, policy development and implementation, employee relations, compensation and benefit administration and staff safety.